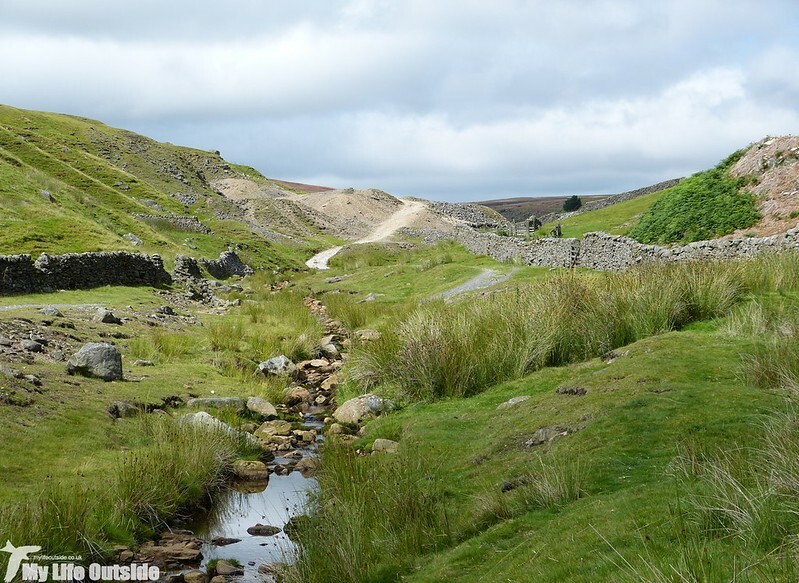 It's always surprising quite how quickly a week away can simply disappear and by the time we got to our final two days in Leeds we still hadn't managed to fit in any of the long, moorland walks of which I'd so been looking forward to. 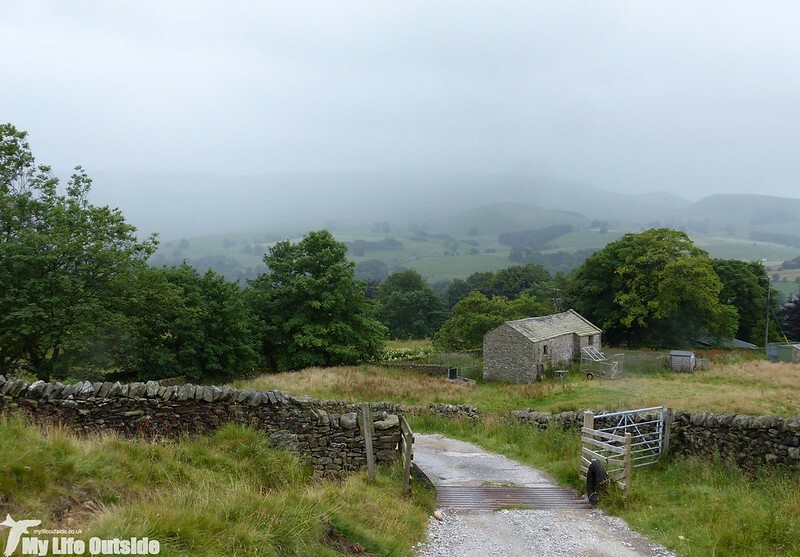 This meant that, regardless of weather, we were going to get out there and so on Thursday we set our sights on Grassington Moor. 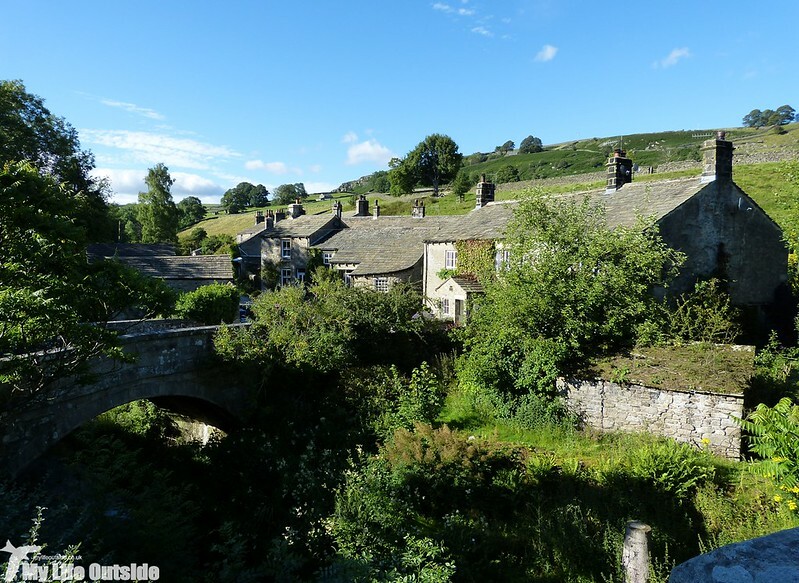 We'd be repeating a route that I walked a couple of years ago, starting from the delightful village of Hebden before winding our way up the valley to Grassington Moor itself. 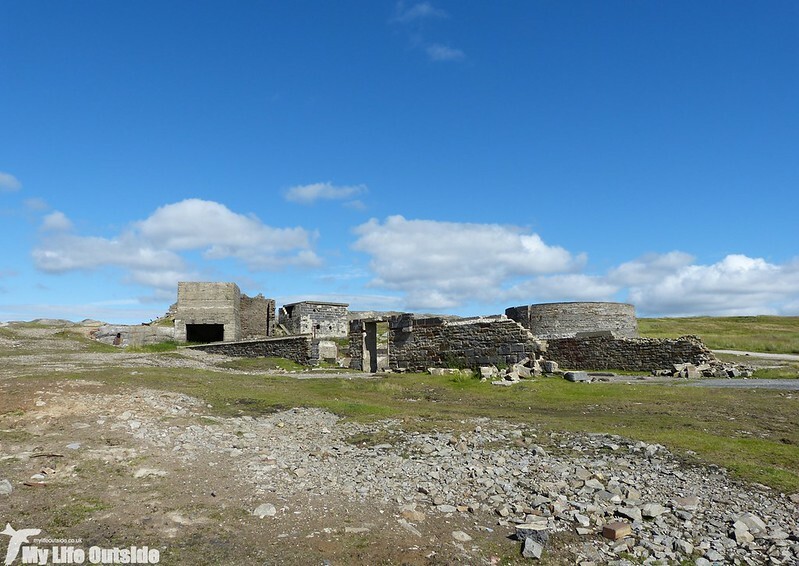 The hope was that we'd get another opportunity to find Red Grouse (Grassington being a Grouse shooting moor) but there was also the added bonus of impressive industrial ruins along the way. Anyone who knows me well will quickly recognise that this is close to my perfect day out and we set off for the start with enthusiasm and even sporadic showings from the sun. 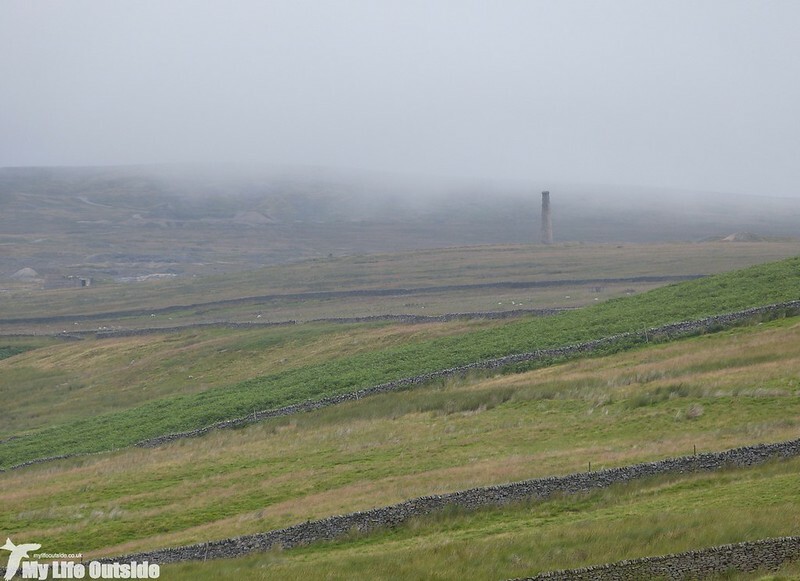 Sadly as we approached Hebden those brief spells of brightness had all but vanished and by the time we were putting foot to path we were being completely overtaken by a heavy band of rain which mostly obscured the surrounding scenery from view. Suitably waterproofed we pushed onwards and upwards following a route along the suitably named Edge Top. There were signs of Grouse all around us but seemingly the only birds out and about in the conditions were just a few Meadow Pipits and the occasional startled Skylark. Things picked up a bit as we passed Mossy Moor Reservoir where a flock of some thirty or so Lesser Black-backed Gulls were roosting. One had clearly met an unfortunate end but its skull was still a little too fresh to consider adding it to my collection. Overhead a Red Kite was soaring and we also picked out a Kestrel, one of two birds which were an almost constant presence for the rest of our walk. 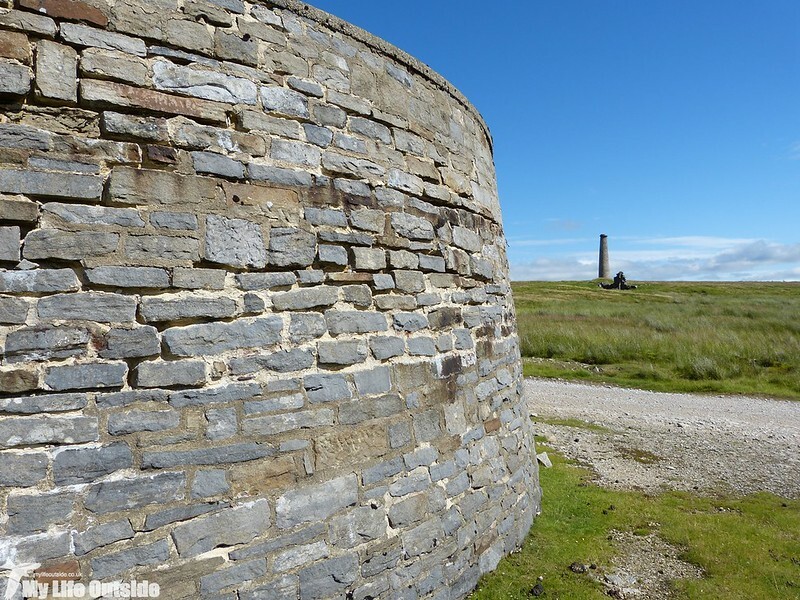 Our elevated position here also gave a first glimpse of our ultimate goal, the impressive Chimney which marks the lead mines which once ravaged this valley. It wasn't long before we started to see impacts of the old industries closer to home. Stone pillars, now reduced to mere stumps, marked the route of long gone water channels before we arrived at the impressive remains of Bolton Gill engine shaft. Even today its stonework is in remarkably good condition and its location once more gave us expansive views along the route ahead. Even better was the reappearance of the sun, finally banishing any lingering rain and heralding the start of what turned out to be a glorious afternoon. From Bolton Gill we dropped down to Hebden Beck and followed its route all the way up to the dam at the base of Grassington Moor. 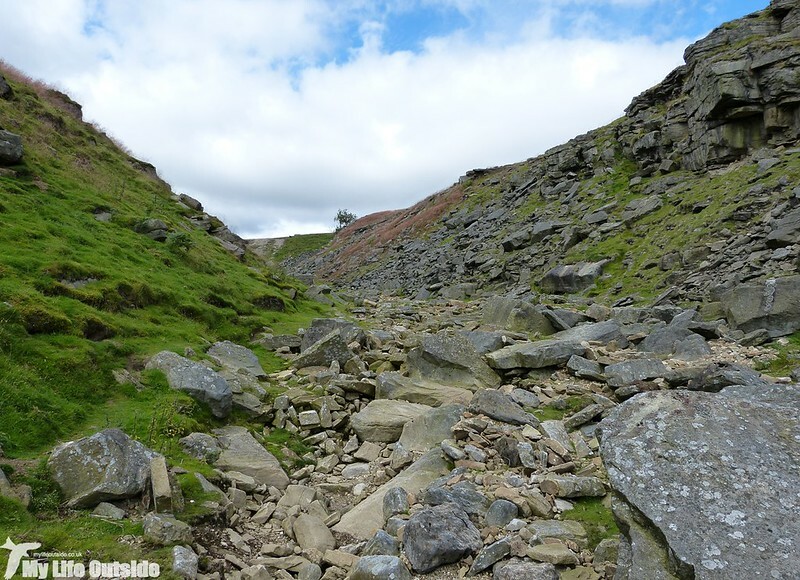 Industrial scars were all around us including mine entrances, spoil tips and quarries until even the beck itself dried up, its course and flow forever changed by the very dam which we were now climbing. 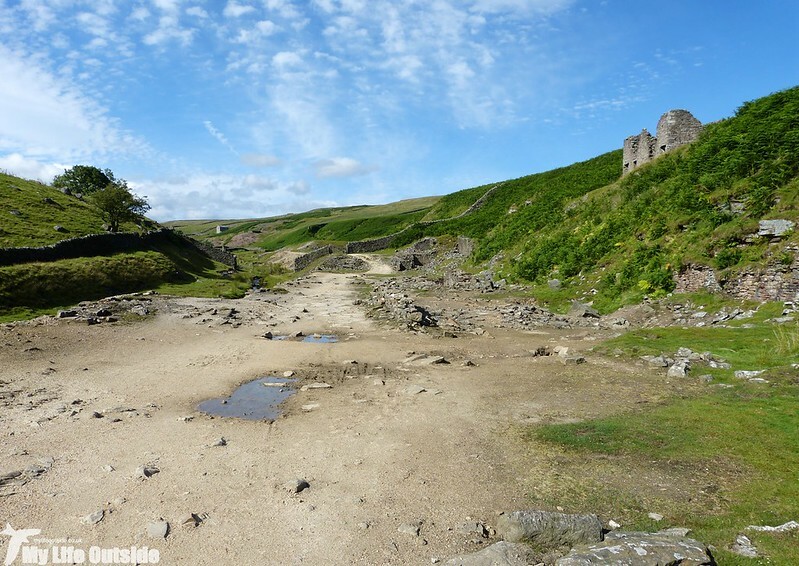 Looking at its construction there would once have been a sizeable reservoir sitting behind but to reduce the need for maintenance three large pipes have at some point in the recent past been driven through its base. Wheatears were very much in abundance and we also stumbled across what must have been the Kestrel's roost/nesting site given the way they behaved as we approached. I wont go over the history of the lead mines here in too great a detail (there are plenty of websites that do that far better already) suffice to say that they were in operation between 1800 and 1880, followed by short periods of renewed activity from 1916 to 1920 and 1956 to 1960 when attempts were made to reclaim valuable deposits from the extensive piles of waste. It is still possible to see extensive ruins covering each of these differing phases but the most prominent remaining structure is that chimney. 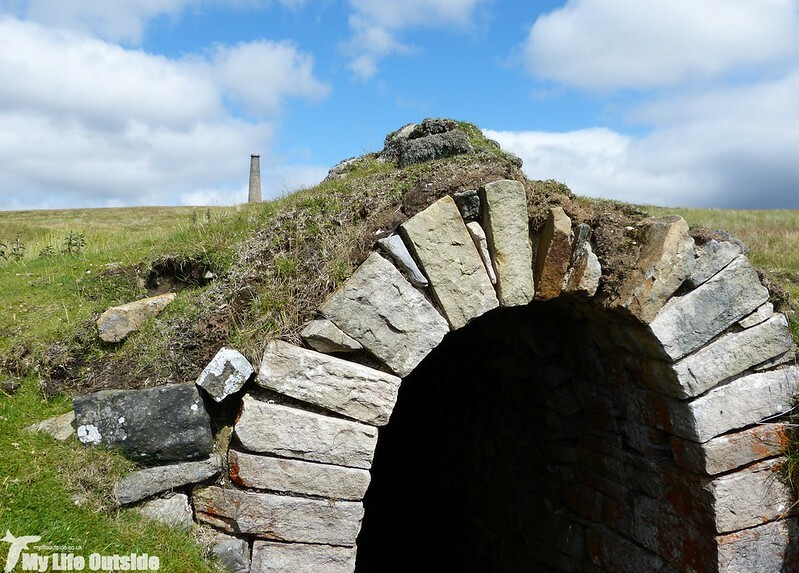 Located in an elevated position to achieve maximum draught it was attached to the main smelting mill through a series of covered tunnels. 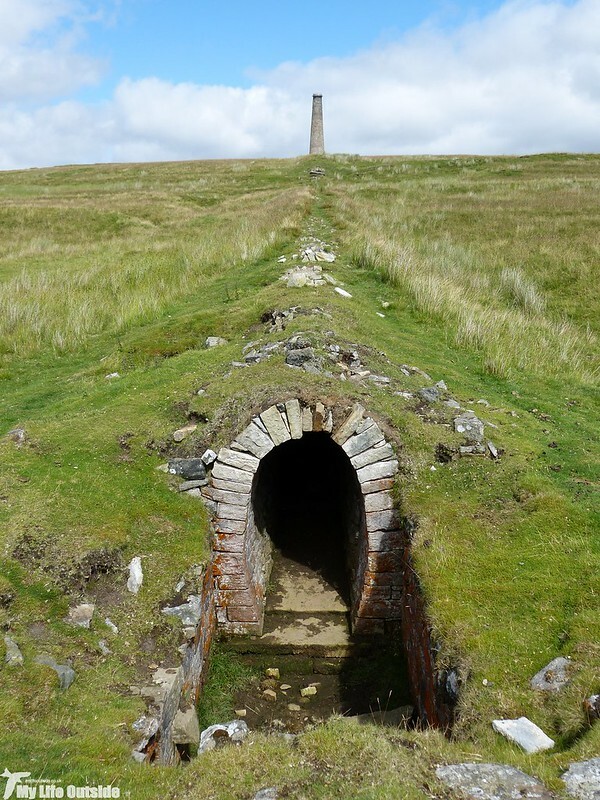 Air would be drawn through these, stoking the fires to ever greater temperatures and also providing a handy structure along which fine particles of lead could condense to be collected at a later date. These are still clearly visible today and make for impressive viewing. Sitting a short distance away is a small reservoir and beyond that the moon-like landscape left behind by decades of mining. Both have a strangely beautiful look to them, or is that just me? 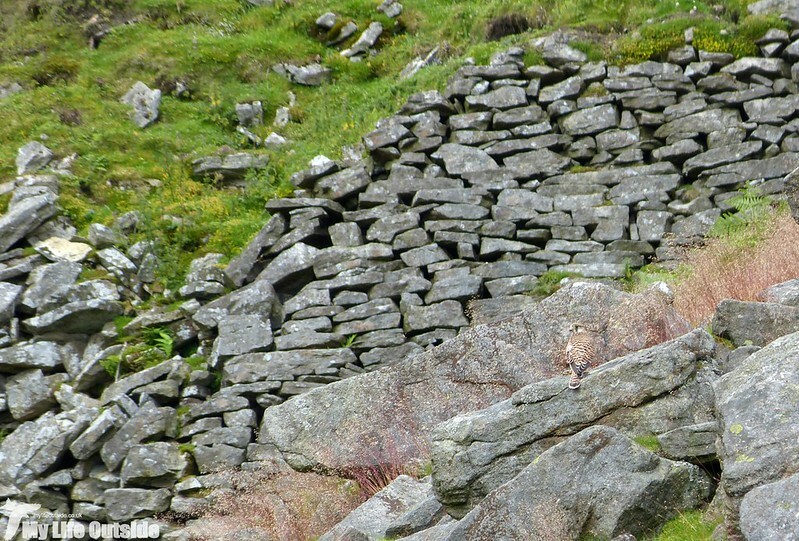 Probably the most interesting ruins belong to the crushing mill. 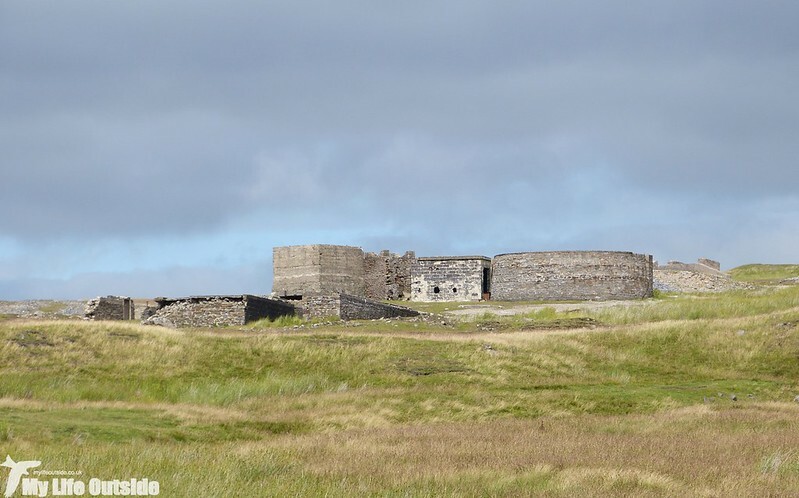 As we approached they resembled something out of Star Wars, an imperial outpost perhaps. Up close it's possible to discern the use that the various structures once had from lorry loading bays through to hoppers and the main crushing machinery itself. 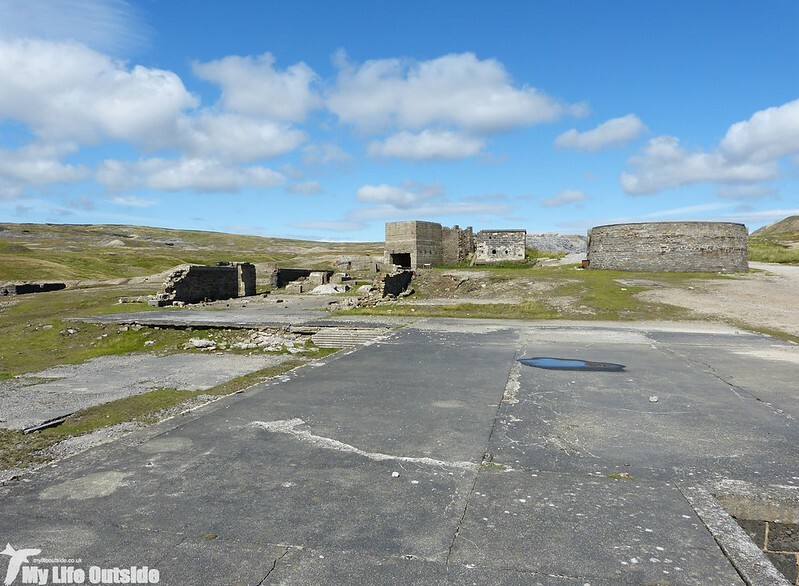 That so much is preserved is due to the fact that this was the base of operations for the 1950's and 1960's reclamation activities with many of the buildings dating from that time. I may have gone a bit overboard photographing what are essentially boring lumps of concrete to most people so here are just a few of my favourites. 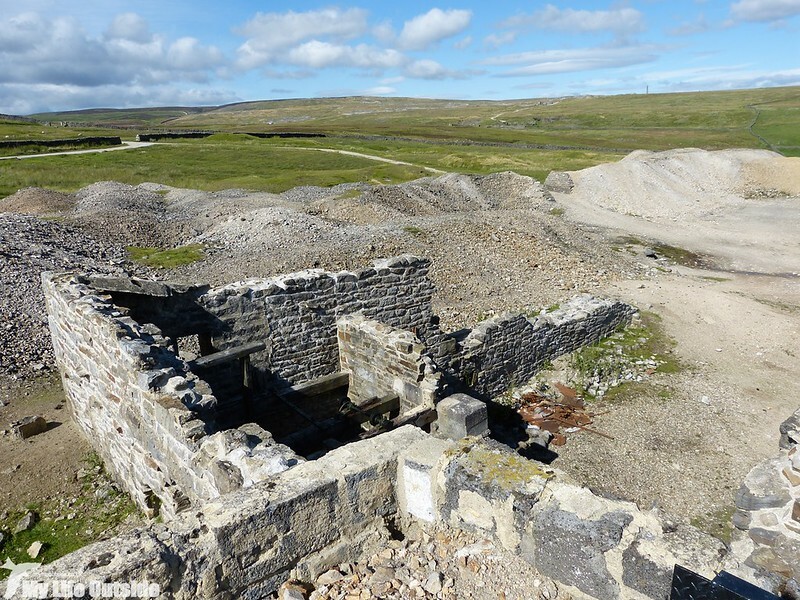 Across the valley sits Beevor engine shaft, another mine worked from 1836. Here there are still remains of the mechanical motion which turned the movements of a large waterwheel into the vertical action needed to operate an engine. 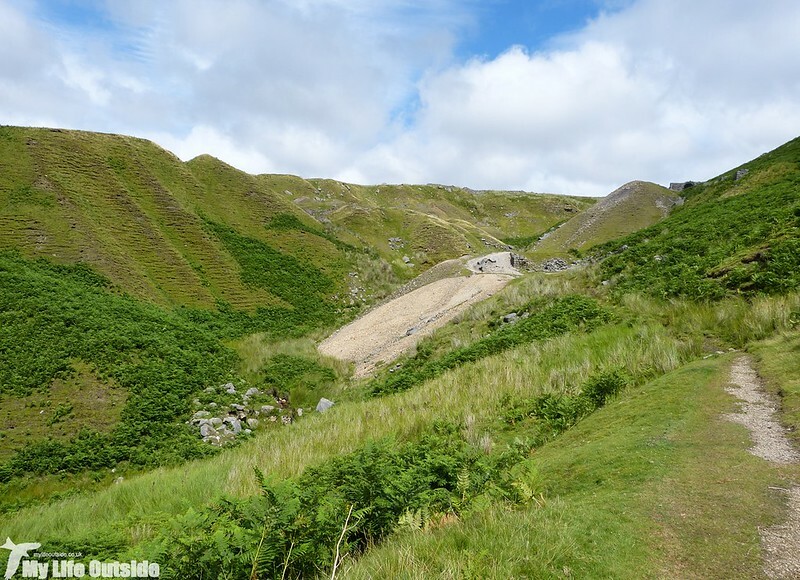 What's most notable though is the landscape sloping away which looks to have been covered with slurry. In fact that's exactly what did happen as a result of washing the spoil tips to recover valuable barytes (natural form of barium sulphate). Passing the old gunpowder house we once again made our way down to Hebden Beck and followed its course all the way back to Hebden. 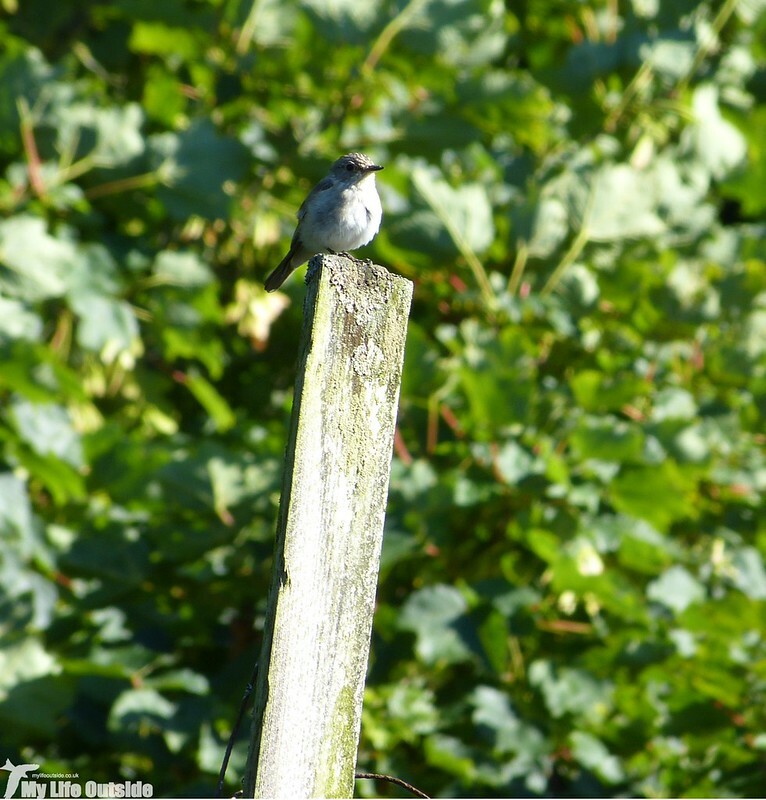 Wheatears were again numerous with six or seven birds present plus the occasional Dipper and Grey Wagtail. 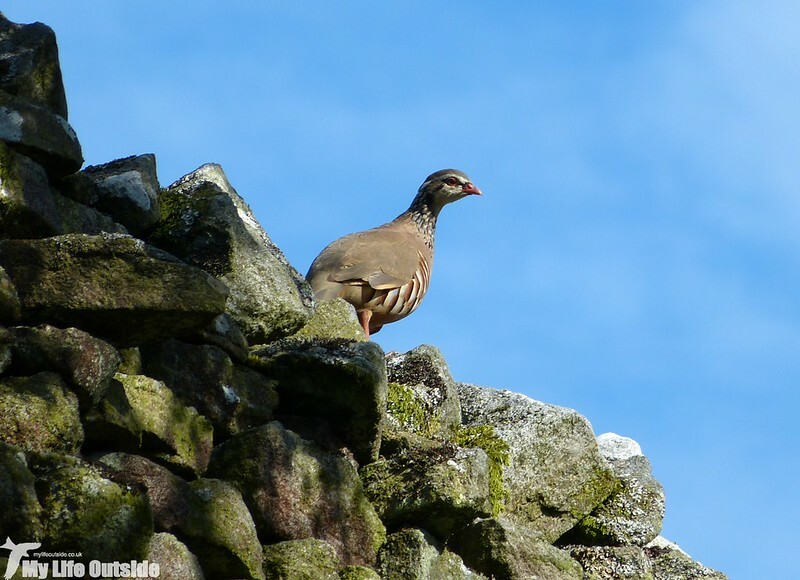 What we weren't expecting to see was a large flock of Red-legged Partridges and Pheasants with at least twenty and thirty birds present respectively. 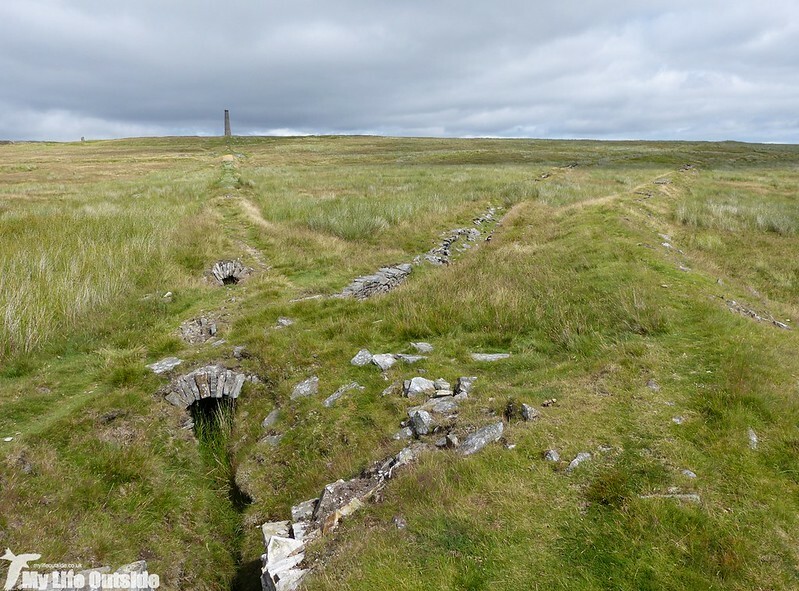 They were located just above Hole Bottom (great name) and have clearly prospered from being well away from the gentry and their guns on Grassington Moor. Even better was the fact that I got a picture for a change, my best of this species to date. 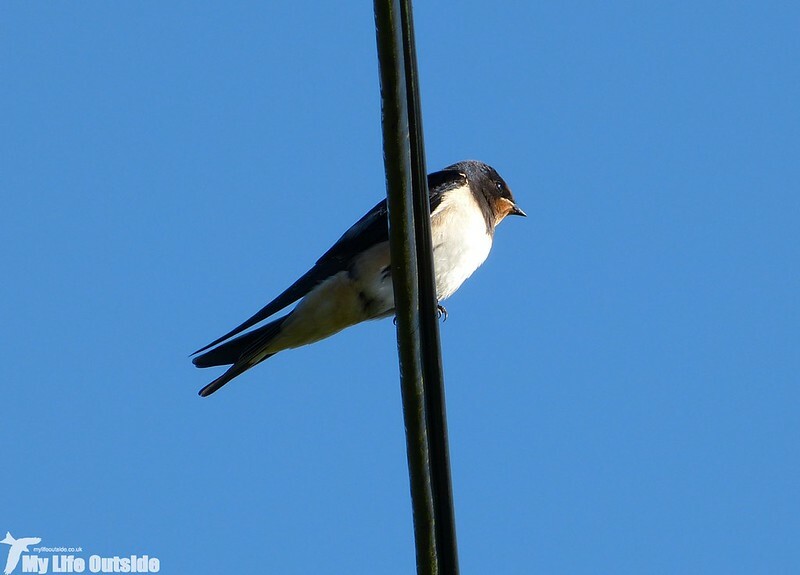 There were further surprises just outside the village where I found a Spotted Flycatcher and several Swallows lined up along the wires. Who says Summer is almost over. And remember when I wrote about Castle Combe being the most attractive village in England? I'm pretty sure you'll all agree that Hebden has it beat on every front. That is an impressive flue system. An excellent look round.